Found 3 file extension associations related to ES File Explorer and 2 file formats developed specifically for use with ES File Explorer. ES File Explorer is a free, full-featured file and application manager. It functions as all of these apps in one: file manager, application manager, task killer, download manager, cloud storage client (compatible with Dropbox, Google Drive, SkyDrive, Box.net, Sugarsync, Yandex, Amazon S3, and Ubuntu One...), FTP client, and LAN Samba client. ES File Explorer allows Android users, no matter where they are, to manage their resources freely. 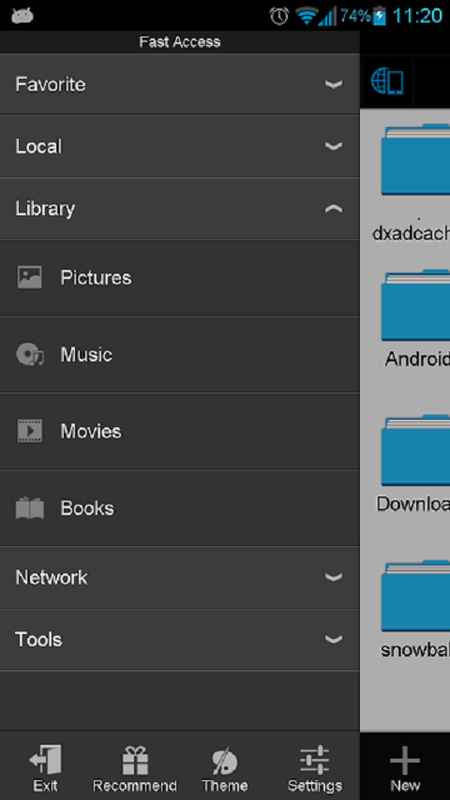 You can access all of your files from your mobile device and share them with others. This app makes it easy to stay connected over 3G, 4G, EDGE, or Wi-Fi to share with friends, upload photos, and watch videos. Hide files from Android apps using .nomedia file - Preventing Android programs from accessing some folders. If you need more information please contact the developers of ES File Explorer (ES APP Group), or check out their product website.